FREE for a limited time – Picture Math, another great educational app from Brainingcamp. Kids (ages 5 – 12) learn about addition, subtraction, multiplication and division while solving picture puzzles. Each level begins with a narrated lesson. As kids solve math problems, they earn clues to the picture puzzle. The app features four hundred questions (fifty levels) complete with visual models. There are fifteen addition lessons, nine subtraction lessons, seventeen multiplication lessons, and nine division lessons. The progression of the lessons is well-designed. Kids must complete a level before moving to the next. 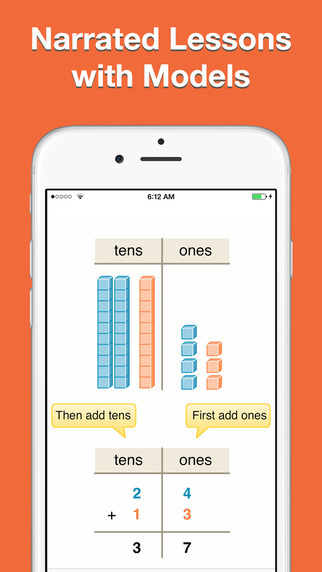 This app is nicely done for elementary math students!